The band Wilco has gone from a near cult following in their early days as a Uncle Tupelo spinoff, to a critical darling with the album "Yankee Hotel Foxtrot", to nearly mainstream success with 2004's album "A Ghost is Born". 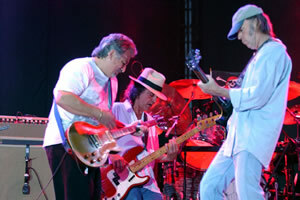 Almost without exception, nearly every review of the critically acclaimed album "A Ghost is Born" cited Neil Young's influential sound on the album's production. From the grungy feedback to fiery guitar solos, "Ghost" has the spirit of Neil Young and his band Crazy Horse hovering in the studio. One could speculate that Wilco listened to "Ragged Glory" before starting the recording process and went from there for inspiration. "Plenty of musical tributaries converged in the early recordings of Uncle Tupelo, but one of the most prominent was Neil Young - the off-the-cuff, midnight-of-the-soul Young of Tonight's the Night and On The Beach , as well as the hippie balladeer of "Harvest" and the primitive guitar genius of "Down By the River." "You can't underestimate Young's influence on that whole scene," says journalist Richard Byrne. "I would say the main reason I got what was happening was because I was a huge Tonight's the Night fan, and Tonight's the Night was the album for all of these guys, for Brian Henneman, for Jay Farrar, for Jeff Tweedy. They were hearing the country and folk stuff that they grew up around, and they were listening to all their SST punk records, and Neil crystallized it for them." Perhaps. Neil Young once got sued by his label in the 1980s for making what te gravely disappointed executive David Geffen called 'unrepresentative' albums--in other words, they didn't sell well enough. "The band had pulled a Neil Young: it had followed its version of the commercially accessible After The Goldrush with a record nearly as stark and challenging as Tonight's The Night. It upset expectations..."
What follows are a series of album reviews for "A Ghost is Born" mentioning the Neil Young connection gathered from over on Thrasher's Blog. "Reaching for the wearying effect that Neil Young achieved in live jams with his band Crazy Horse"
Neil Young and Crazy Horse's influence on Wilco's "A Ghost Is Born" seems to be on every critics mind these days. A review in Washingtonpost.com by David Segal observes that Wilco has one of the highest inverse ratio's of critical acclaim to sales. I.e., great reviews and low sales. Sort of like Young's music?! "The album, Wilco's fifth, is an experiment that only the initiated will enjoy. In fact, if the cult of Wilco has mystified you so far, 'Ghost' is sure to deepen the mystery. What can you say about a song like 'Less Than You Think,' which ends with 12 wordless minutes of what sounds like intergalactic radio hum. 'Well, nobody has tried that before' is one thing you could say. 'I'm never sitting through that again' is another. You might admire the nerve it took Tweedy to play the numbingly long electric guitar solo on the album opener, 'At Least That's What You Said,' reaching for the wearying effect that Neil Young achieved in live jams with his band Crazy Horse. Or you might wonder what kind of lunatic would plop such an inhospitable welcome mat at the front of an album, one that all but dares listeners to go knock on someone else's door. 'Ghost' is a rethinking of rock's mannerisms that mostly reminds you why these mannerisms became so popular in the first place. With production by Jim O'Rourke, who hails from the niche world of electro-acoustic rock, the album has the feel of a disoriented confession; it seems to take place in a landscape of the mind where almost nothing is familiar. There is a drug deal happening on 'Handshake Drugs,' the Devil swings by for a how-do-you-do on 'Hell Is Chrome,' but otherwise, the lyrics leave you anxiously stranded, without reference points, in a psychedelic heap. " "Neil Young-like tone and frenzied fretboard manglings"
"While certain tracks on Yankee Foxtrot Hotel only revealed their glories in the quiet moments where small sounds shifted and unravelled in front of your ears, Ghost attempts to give you a more focussed audio verite. This could explain why, on the two tracks that extend beyond the five minute mark, they really stretch out, for nigh on quarter of an hour each. It's as though Tweedy and pals have shifted their faith from craftsmanship to the power of repetition. ''Spiders'' can't help but remind you of the motorik experimentation of Neu! crossed with the freeform guitar of Tom Verlaine. In fact it's guitars that are the album's touchstone. Tweedy, describing his style herein as: 'inspired amateurism' is being typically modest. His Neil Young-like tone and frenzied fretboard manglings make the perfect subversive backdrop to the traditional song formats the band work within. One can only guess at how good this will sound when combined with new member Nels Cline's even further-out extemporisations. The band never forget their Americana roots, however. A song like ''Muzzle Of Bees'' can still remind one of wide open spaces (but still undercut with brooding electric menace) and, when it comes to tracks like ''Hummingbird'' and ''Company In My Back'', there's no denying that Tweedy still has an almost Beatlesque eye for a tune." "The results are both fascinating and frustrating. Stepping into the lead guitar role for most of the record, band leader Jeff Tweedy sprays jagged shards of Neil Young-inspired electric guitar solos across much of the record, especially on the endlessly jamming 'Spiders (Kidsmoke),' which starts monotonously and ends in loud guitar. With avant-rock musician Jim O'Rourke returning to produce after presiding over the band's 2001 studio masterpiece 'Yankee Hotel Foxtrot,' Wilco continue to experiment. " "The CD also finds Mr. Tweedy struggling to take over as lead instrumentalist after Jay Bennett left the band post-Foxtrot. While he fancies himself a free-form jazz guitarist, he's not quite there yet. He does an OK job imitating Neil Young on 'At Least That's What You Said.' But his haphazard soloing undermines what could have been the CD's most potent song, 'Spiders (Kidsmoke),' a 10-minute collage of new wave, German rock and psychedelia. He fares better when he concentrates on actual songs, not guitar-driven noise, like 'Hummingbird,' a Beatlesque ditty laced with viola and dulcimer, or the meditative ballads 'Wishful Thinking' and 'Hell Is Chrome.' Like most Wilco CDs after 1995's A.M., this one is heavy on slow songs with drowsy vocals and cryptic lyrics. Still, Mr. Tweedy definitely remembers how to rock: 'I'm a Wheel' is the best song T. Rex never wrote." Wilco's Ghost: "reminiscent of old Neil Young records"
I realize this getting to be repetitive, but I'm wondering how many reviews there are that compare Wilco's "A Ghost is Born" to Neil Young and his musical style? The primary reason I started this blog was to capture Neil's influence on today's music and if there was ever a better example of it, it would have to be Wilco. Without a doubt, Wilco is one of the few bands today that are experimental, adventurous and unpredictable. By definition, Wilco is truly rock & roll. "Far from being a sequel, Wilco's new release, A Ghost is Born, takes the experimentalism of Yankee Hotel Foxtrot a step further, with extended free-form breaks and audacious detours, but retains its predecessor's unexpectedness, even if the material isn't as consistently gripping. The opener, "At Least That's What You Said," emerges suddenly from a spare account of a lovers' quarrel into a ragged but powerful instrumental, reminiscent of old Neil Young records, led by Tweedy's staccato guitar and Glenn Kotche's drumming assault." 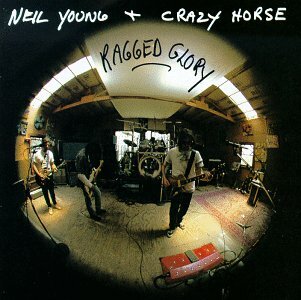 "The finest raggedy rock riff Neil Young never wrote"
"Album opener At Least That's What You Said features the finest raggedy rock riff Neil Young never wrote, and Hell is Chrome, a quietly creepy ballad in which the singer survives an encounter with the devil, is strung with lovely lines ('The air was crisp like sunny late winter days, a springtime yawning high in the haze, and I felt like I belonged') and barbed guitar. " "It's amusing to hear what the other critics are saying about this album. I found Kelefa Sanneh's story in The New York Times informative, yet I didn't agree with her opinion that the 15-minute song "Less than you Think" was an attempt by Wilco to alienate their baby boomer fans. There are numerous classic-rock influences on A Ghost is Born, so I'm sure the oldsters will eat this up. I can hear the T.Rex in "I'm a Wheel", and the Beatles (circa the White Album days) in "Muzzle of Bees". I shouldn't even mention the obvious Neil Young and Crazy Horse-like guitar because every other reviewer already did. " "Like a lost outtake from Neil Young with Crazy Horse during an all-night jam session"
Wilco rave reviews continue with Neil Young comparisons. From Dallas/Fort Worth Star-Telegram . "The first track, "At Least That's What You Said", with its eerie opening guitar chords and lamenting piano, sets up the listener for a rip-roaring guitar/piano meltdown that never stops for a breath. It seethes intensity like a lost outtake from Neil Young with Crazy Horse during an all-night jam session. Tweedy's guitar playing erupts into a glorious rage, as if the singer has resigned himself to the fact that this lovers' quarrel will never be fully resolved. He's left alone to take it out on his guitar." "Wilco understands Young's eccentrically expressive ways with vacuum-tube reality"
Wilco reviews continue to roll in. Another Wilco review this time from The Village Voice by James Hunter. "The new Wilco focus dulls the place of Brian Wilson's music in Wilco's. This is excellent, because the rinky-dink Americana/alt-country apprehension of Wilson -- the delusional idea that classic Beach Boys had less to do with a genius instance of Hollywood glamour than some sort of fanciful homey suburban folk -- has always been plainly wrong, and Wilco have been chief offenders in perpetrating the hoax. 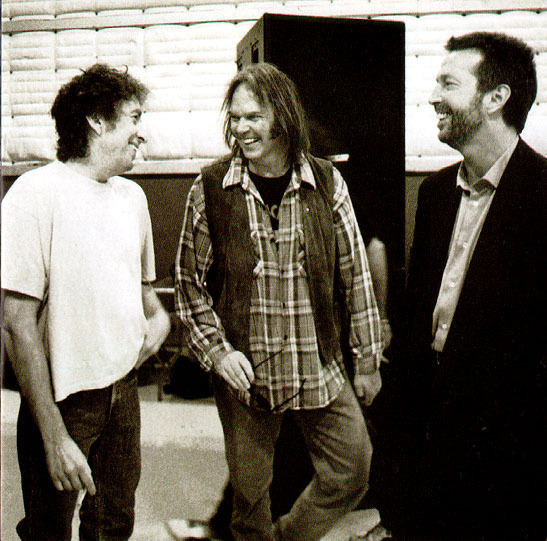 Loads better for them to proceed, as they do on A Ghost Is Born, as though they can't get enough Neil Young. Wilco understand his eccentrically expressive ways with vacuum-tube reality. They don't willfully imagine Young as Bing Crosby, as much of Americana/alt-country has viewed Wilson as Hank Williams with arpeggios. Moreover, on the several creeping ballads such as 'At Least That's What You Said' and 'Theologians' that Tweedy almost mumbles, Wilco also exhibit a decent grip on Sister Lovers - period Alex Chilton. Their version can't communicate the Big Star protagonist's pharmaceutical nightmares, yet it still sears." " 'A Ghost Is Born,' produced by O'Rourke, doesn't sound much like its predecessor. But it takes up 'Foxtrot's' sense of abstraction and sends it in a new direction. Now the noise is utterly in-your-face. The result sounds like Crazy Horse, with ragged, jagged guitar solos ruling the day. Wilco leader and axman Jeff Tweedy isn't exactly Neil Young. But his budding attempts at strangulated guitar lines have a certain freedom to them, and they reflect the album's troubled lyrical themes." Greg Kot's new book "Learning How To Die" is reviewed in The New York Times by Joe Klein. "Rarely has so much attention been paid to a musician who has never quite succeeded commercially, or in his own mind, or in the minds of his oft-perplexed fans. But Tweedy is worth it, for his failures as much as his successes, for the cloudy clarity of his work." "Through it all, Tweedy has produced some terrific (and not so terrific) music. Each Wilco album is different from the last. Tweedy is a classic autodidact, inhaling books, constantly pushing himself to grow and change. Over time, he has become a better guitar player and learned how to mess with the computerized gimmickry of the modern recording studio. Most important, he has figured out how to sing in an entirely distinctive and compelling way. Like Bob Dylan, Neil Young and others, Tweedy has a scratchy, nasal, good-bad voice, which depends on his emotional intelligence and phrasing, rather than timbre, for its effectiveness. His delivery is purposefully nervous, artfully irresolute. He will bend or slur a phrase, pause uncomfortably, allow a note to shatter in mid-attack; at times, it sounds as if he's very close to a nervous breakdown. There is a terrible sadness to it. (As affecting as Tweedy's postmodern angst can be, I sometimes miss the occasional lacerating jolt of angry energy Jay Farrar brought to their collaborations.) "
More on Greg Kot's Wilco book "Learning How To Die". "American rock is thriving, but only in certain specialised fields, such as horror-metal, retro garage-blues, and so-called 'emo' (emotional) punk. Almost completely inconspicuous are the kind of acts, such as Neil Young or Sonic Youth, whose music is marked by a love of exploration within tradition, by the desire to re-route the classic forms of rock in experimental new directions. In fact, that noble lineage is currently upheld by just one group - Wilco. Good-natured, grounded but electrically charged, Tweedy was the kind of rock star they don't seem to make any more. His moment has surely arrived." Wilco's Ghost "Reminds one of On the Beach"
"More than anything, A Ghost Is Born reminds one of On the Beach , Neil Young's 1974 misanthropic masterpiece. Like Young's famous Neanderthal guitar-noise minimalism, Tweedy's six-string skitterings provide an unusual counterpoint to the otherwise stark, somber, and pretty songs. The strictures of the three-minute song form are thoroughly disregarded on tracks like the 10-minute 'Spiders.' Twelve minutes of slow amp noise follow 'Less Than You Think,' which brings you to the disc's semi-hidden conclusion, 'The Late Greats' -- a funny tribute to the unrealized potential of all the bands that never get heard." "From experimental bleeping to the Crazy Horse/Velvet Underground guitar jamming"
"Wilco is the kind of band that people get passionate about, the kind that makes a big impact -- inspiring equally vociferous devotion and backlash -- without selling many records. From their early days as alt-country royalty to their journeys through experimental bleeping to the Crazy Horse/Velvet Underground guitar jamming on their new album, A Ghost Is Born, there's always someone who raves about it and someone who thinks it's the worst thing ever. According to frontman Jeff Tweedy, the only thing to do is to bash on regardless. Jeff Tweedy: "Like Neil Young learning Thurston Moore's solos"
A very thorough analysis of Wilco's "A Ghost is Born" on PopMatters review "Where Are You Going, Where Have You Been?" by Zeth Lundy. "The songs are steeped in clouds of little significant remembrances, with Tweedy at his most pensive and introspective. In 'Hummingbird', he sings of a man whose 'goal in life was to be an echo', and requests: 'Remember to remember me / Standing still in your past'. He even gets downright pastoral in the natural imagery of 'Muzzle of Bees', submissive and confessional in 'Handshake Drugs', and steadily defiant in 'Theologians'. Yankee songs like 'I'm the Man Who Loves You' and 'Reservations' merely hinted such significant internalizations, as most of that album mushroom clouded into the atmosphere of instable city imagery. Tweedy has also found a new outlet for such wellsprings of charged emotion: the guitar solo. This may be the element of Ghost that comes off as the most surprising. Tweedy's like a hurricane? Yup. Actually, he's more like Neil Young learning Thurston Moore's solos (or vice versa). They all reek of a player who has recently discovered his instrument's voice, but are endlessly fascinating as they skirt around typical solo confines, refusing to follow a song's melody or chord structure, and often contribute to the overall dissonance of the piece." Jeff Tweedy: "Like Neil Young at his wildest"
"Things are at an exciting point for Wilco as a musical entity. One of the most controversial elements of A Ghost Is Born is the presence of lengthy, anarchic guitar solos, performed by Tweedy himself. More evocative than skilled, rambunctious and occasionally atonal, they call to mind nothing so much as an amalgam of White Light/White Heat-era Velvet Underground, My War-period Black Flag and Neil Young at his wildest, all in the service of Tweedy's highly arranged pop-rock chamber pieces, which happen to sound nothing like any of these three influences. But since finishing Ghost, Wilco has been joined full-time by legendary journeyman guitarist Nels Cline, known for his work with the Geraldine Fibbers and Mike Watt as well as a respected player of jazz and improvised music. I ask how the addition of Cline has affected Wilco's live show." As a friend of mine said after hearing "A Ghost is Born" for the first time: If Neil Young and Beck were to have a love child - the result would be Wilco. As with Beck, sometimes Wilco's lyrics don't make any sense at all. It's as if they were just strung together without purpose or meaning, but it seems, upon closer inspection, that there is meaning behind them." More on Wilco on David Letterman Show and Austin City Limits in January 2005. 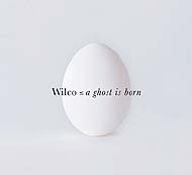 Check on reviews of Wilco's "A Ghost is Born" on Thrasher's Blog. Concert reviews on Thrasher's Blog of Wilco at the Meyerhoff Symphony Hall in Baltimore - September 28, 2004 and at 9:30 Club in Washington, DC in June, 2004. More on Uncle Tupelo, Jeff Tweedy and Jay Farrar. Also see Wilco's Wikipedia page. 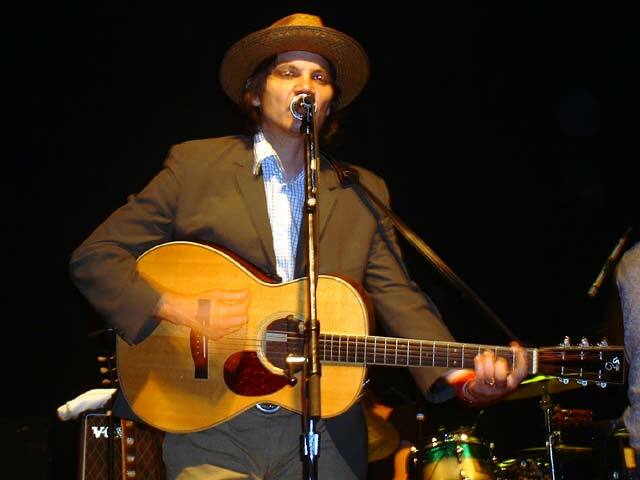 Also, see Discussion on Via Chicago Forums on Neil Young, Wilco & Jeff Tweedy influences. A super review, setlist and photos of Wilco in Toronto at the Mod Club August 4, 2004 on Chromewaves.net by Frank and at Toronto's Massey Hall, October 9, 2004. Also, see review of Learning How To Die book by Greg Kot. Some articles on Wilco on nutnhunee. More on Wilco on Thrasher's Blog [search].